A while ago now I donated a few copies of Thrill Seekers to this very worthy cause. Monique, a single mum of three, tragically lost her seventeen-year-old daughter to an aggressive cancer and has been left struggling to cope. One of her good friends started scouting for donations to auction and that’s where we come in. 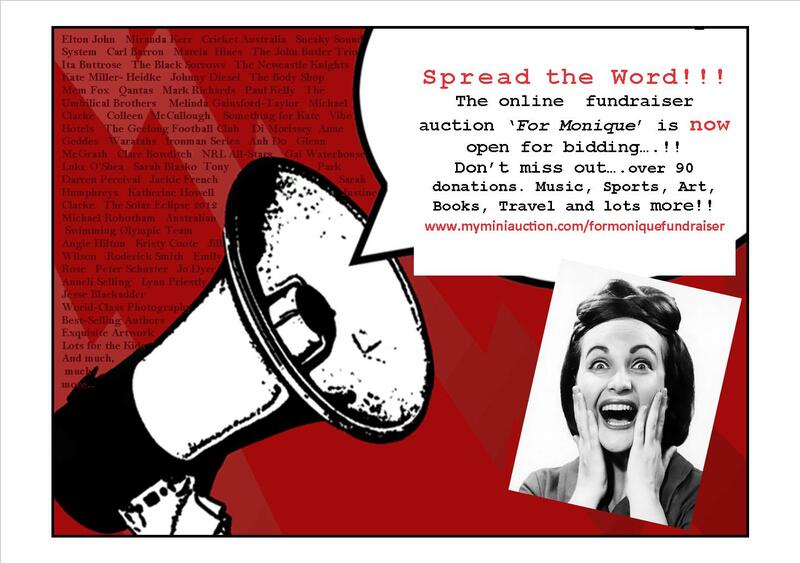 Please check out the website and bid for items, and LIKE their Facebook page to help out. I can only imagine how hard it is right now for this family to cope every day. They need time to grieve, and money to afford that time. Please buy generously! Very kind of you…and of all those who donate and purchase…to give the gift of time to this grieving mother. Thanks Rebecca. Grief takes time, as much as you can get.